Good grammar and style say a lot about your work to your customers. They may not be important to you but bad grammar could turn some of your visitors off. You should always edit your work before posting anything online. Tools such as Proofread Bot could always help. 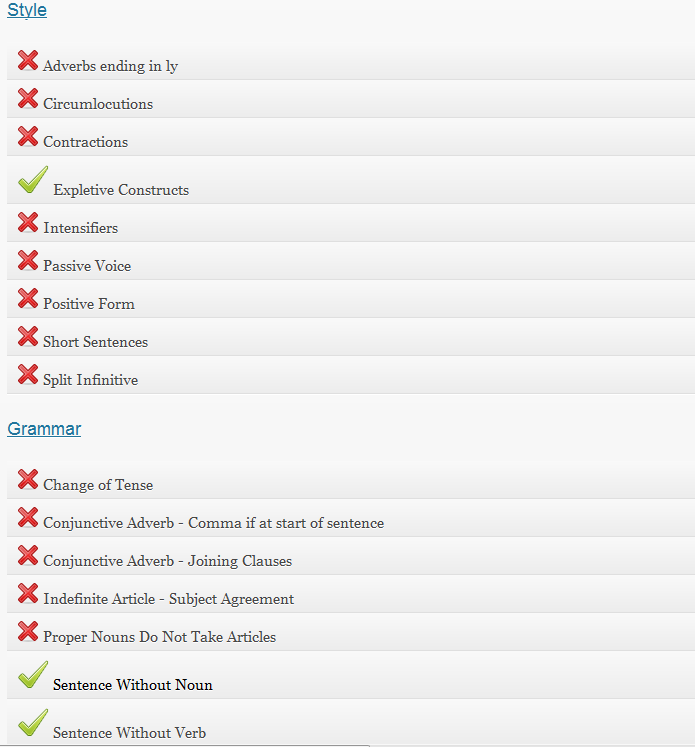 It is a handy plugin that analyzes your content and provides you with grammatical and stylistic suggestions. The plugin is simple to use. When you are ready to add a new post or edit an existing one, just click the Proofread Bot button to see what the script thinks of your content. You are provided with one proofreading for up to 600 words per day. In order to use this more often, you are going to have to buy credits. 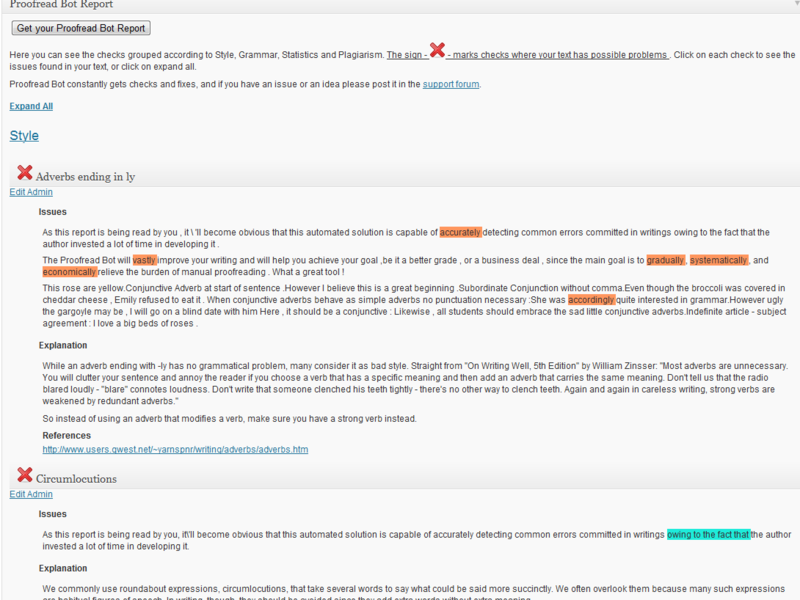 I did like the fact that the Proofread Bot plugin offers detailed explanation of issues it sees with analyzed content. Let’s face it. None of these proofread solutions are perfect. But the Proofread Bot script does have potential. The checks are very cheap. This is especially useful for folks who may not be professional writers. It helps them avoid glaring and silly mistakes.